If you enjoyed the recent festivities surrounding the launch of Secret Empire and happen to have an affinity for a certain wall-crawler, well, then you’re certainly going to want to pay attention. 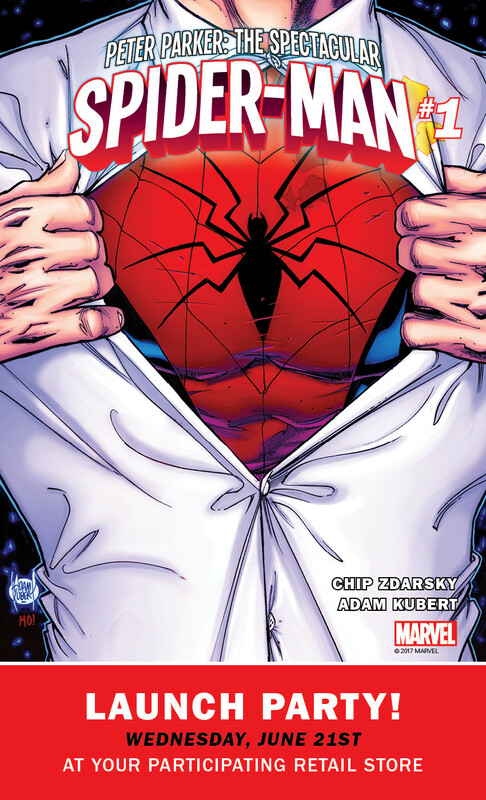 Perhaps due to the success of said promotion, Marvel has opted for an encore, this time devoted to Peter Parker: The Spectacular Spider-Man. You see, the House of Ideas has decided to begin the summer with a bang, as it’ll be sending a wealth of promotional goodies to participating comic shops to help mark the debut of this new series set to be brought to us by the creative team of writer Chip Zdarsky (Star-Lord) and legendary artist Adam Kubert (Avengers, X-Men) that’ll serve as a companion of sorts to Amazing Spider-Man. Aside from the aforementioned Mike Deodato Jr. Party Variant, a Premiere Variant by way of Adam Kubert will also be made available, so be sure to keep your eyes peeled for that as well. 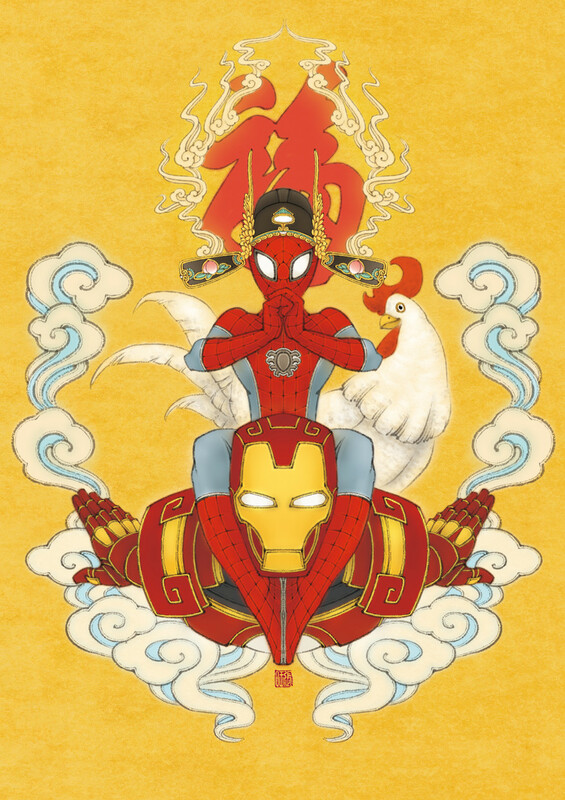 And seeing as how all this will go down on June 21, we can’t help but notice how closely it precedes the True Believers reprints that will be hitting stands in the weeks to follow, all leading up to the theatrical release of Spider-Man: Homecoming. 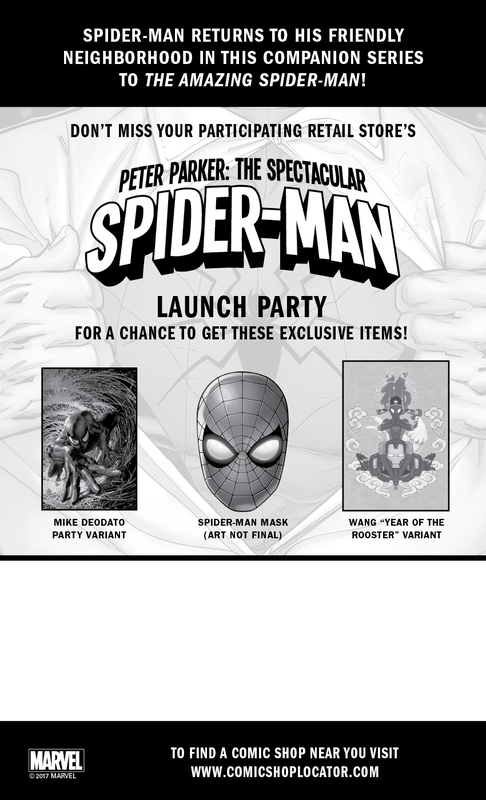 So, while you impatiently await the arrival of Peter Parker: The Spectacular Spider-Man #1, be sure to peruse the gallery at the top for your first look at some of the swag you’ll be able to pick up before letting us know what you think in the comments section.